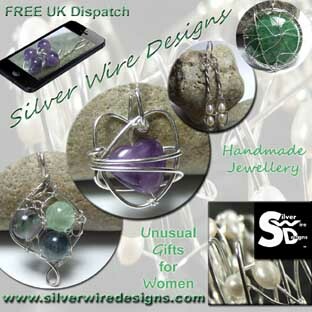 Silver Wire Designs ™ UK online shop was established in 2006 and takes pride in offering an exclusive selection of unique handmade gemstone jewellery at reasonable prices and is not available to buy anywhere on the high street. Everything is genuinely designed and individually hand crafted by Semina Lewis and every item is unique. 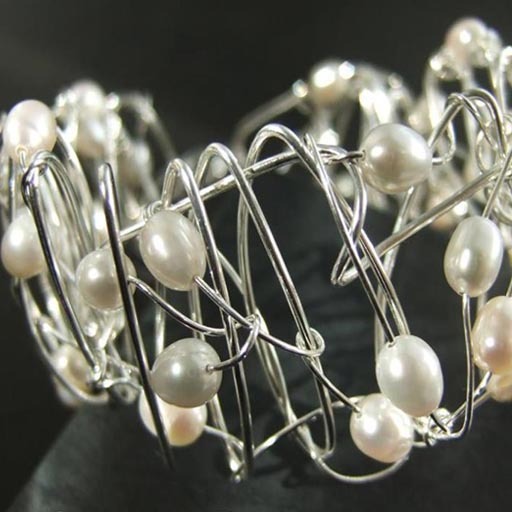 Many techniques are used in the production process including traditional silversmithing starting from scratch with solid sheets of silver alongside wire wrapping, knitting, twisting weaving and crochet of silver wire. The handmade jewellery in this shop is handcrafted intuitively so that each item created is a distinctive and artistic limited edition piece with many being only available as one-off purchases. 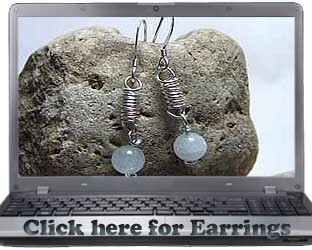 Hope you enjoy browsing the handmade jewellery designs catalogue and feel free to contact Semina with any queries. In this shop you will find many examples of unique handmade silver jewellery including long heavy necklaces, unique pendants, drop earrings, delicate bracelets and contemporary bangles. All items are made using the finest quality 925 sterling silver without coatings or platings and are hallmarked with the makers personal stamp where required. We stock a large range of semi-precious gemstone jewellery including Aquamarine Jewellery As well as the more popular Amethyst, Moonstone, Citrine, Garnet, Peridot and Turquoise we also have more unusual gemstones like Rhodochrosite, Charoite and Amazonite. On our gemstones page you will find gemstones listed alphabetically, there you will be able to find a gemstone to match your outfit, birthstone or colour preference. As the designs are all handmade a combination of several gemstones of personal choice can be fashioned into a special and personal gift. For a very special gift you may be prepared to spend a little extra on a precious gemstone from the range which includes Emeralds, Sapphires and Rubies. 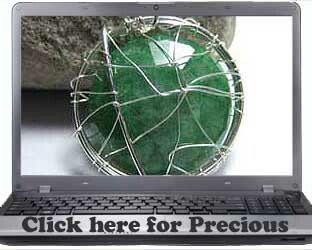 Precious gemstones are seen as keepsakes, something to treasure and can be passed on to future generations. 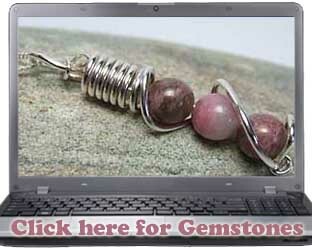 There is a new trend for large precious gemstones which are highly visible and modern in feel. Most are 'one offs' so make them far more desirable and particularly suitable for a special occasion. For birthdays it is especially nice to be able to give a gift which stands out and has special meaning as it shows that you have made that extra effort to think about the recipient. There are birthstones for every month so even if you don't know the exact birth date you can still buy something suitable. 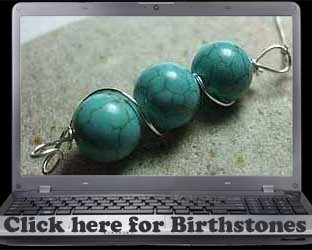 Birthstones are also given as wedding anniversary gifts with one gemstone related to most years. We have made a list of wedding anniversary birthstones to make it easier for you to find that perfect gift. Weddings are such a personal occasion - you will want to make sure that the wedding jewellery complements the dress or outfit perfectly. Traditionally Pearls have been the first choice for weddings mainly because of their smooth creamy white colour which works so well with the traditional wedding dress. 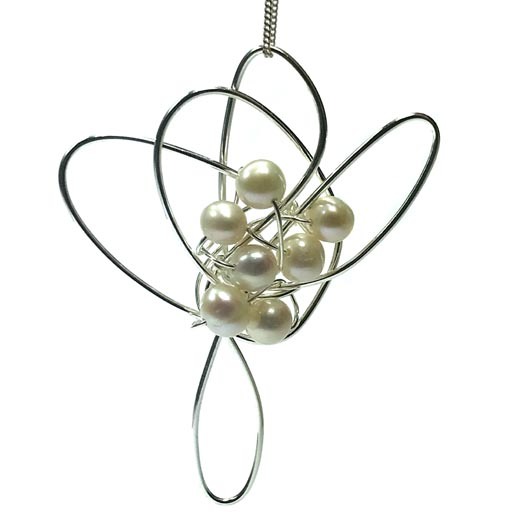 You can find Pearls incorporated into modern designs in our Pearl department. As people are now choosing to wear alternative colours for their weddings it is a great idea to match a gemstone with the theme colour visit our gemstones department for a list of those currently available or let us know if you are searching for a particular gem to be included in your handmade silver jewellery. Bespoke, Specially made or custom handcrafted artisan jewelry silver jewellery - The advantage of buying custom contemporary handmade silver jewellery and going direct to the designer is that if you have something special in mind that cannot be found on the high street you can request it to be made to your specification or you can give the designer an idea of the event or person you are buying for and trust the design to the expert. 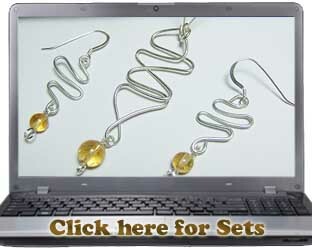 This makes the item more personal and contrary to popular belief is often not more expensive. Copyright precludes other makers' designs being copied but if you like the style of another item the feel can often be incorporated within a completely new design. 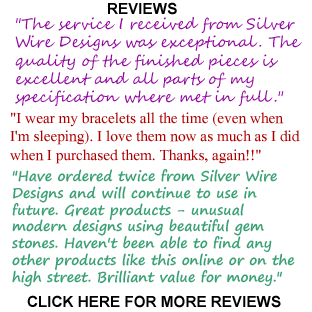 Silver Wire Designs Handmade Jewellery was WINNER of the International Fashion Designers - Rising Star Competition Handcrafted Jewelry Category and has been featured in several magazines and newspapers including Vogue, Tatler and several Wedding and general interest magazines. All purchases are packaged in sumptuous velvet jewellery boxes and pendants come ready to wear with complimentary sterling silver chains. 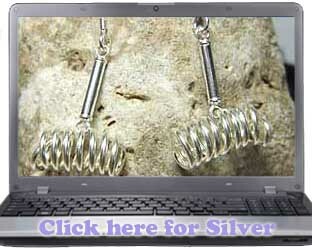 We want you to be delighted with your handmade silver jewellery so have a hassle free returns policy. Buyers' Guide - Please be aware when buying jewellery described as Silver it may not always be the precious metal but just a description of the colour of the item so you may be paying for a very cheap base metal with a light plating which will wear off within a few months. 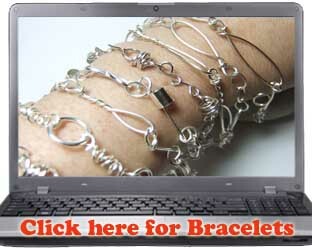 We take pride in only selling the highest quality solid precious metal Silver so that you can buy with confidence. 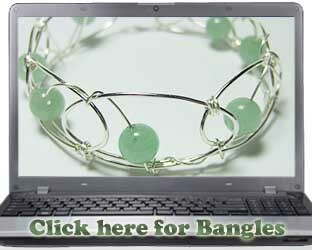 There are currently over 86 product pages of jewelry for sale in the online shop directory filled with a wealth of over 1700 handmade jewellery gifts for her with a great selection of necklaces. Everything is in stock unless otherwise indicated and the website is updated regularly with the very latest contemporary handmade silver jewellery and accessories available. 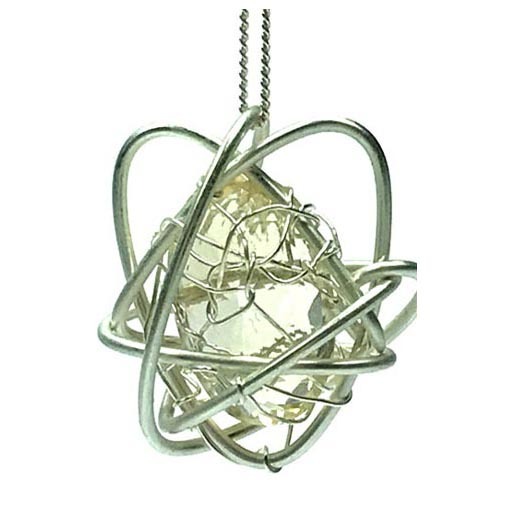 5 stars - Handmade Jewellery - J Innes - "I purchased an item of jewellery for my wife on our anniversary. The item was dispatched quickly and arrived the day after. The quality of the item was excellent. 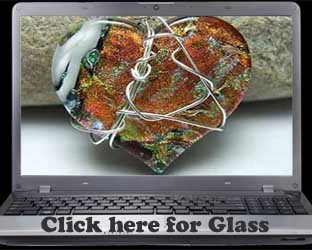 I would highly recommend the site and products"